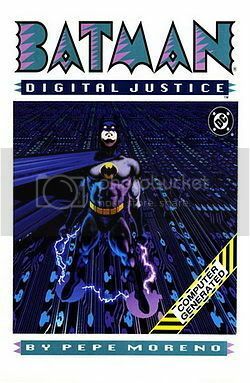 For a long time now I’ve had a copy of Batman: Digital Justice on my shelf. I bought it as a joke from the comic book store in South Dakota that I had been going to for a few years, before I moved as far away as I could. The owner always lamented that no one would buy such a crappy book, so well, I did. I am now going to. And I of course, want you all to share in the experience! Yes yes, I use techniques in my writing too. There is only one part of this book I have ever read: the dust jacket. It has thus far contained enough gems to sustain me. Here are some important things to keep in mind while reading this book. That sounds, um..interesting? No, terrible. And no, I don’t know where all those asterisks go. There’s asterisks everywhere! And nothing that they are referring back to! It’s as though they are just there to help emphasize* things. Like putting them in bold* isn’t enough. They need something else* there too. 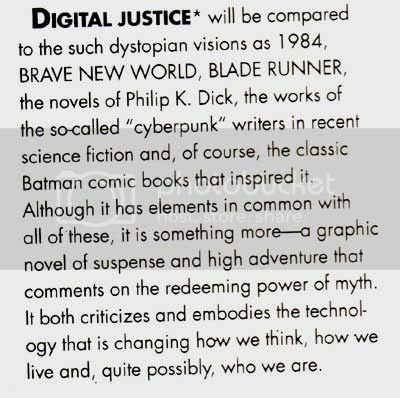 The back flap makes me less worried about the actual content of the book though, and more amused at the 1990’s fascinating technology used to create such a stunning masterpiece. 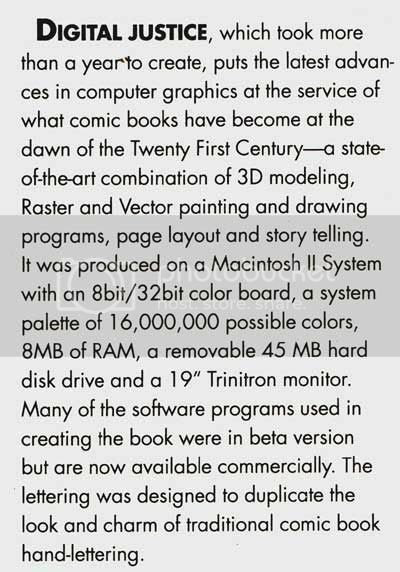 First, this book took more than a year to make on a computer. And, spoiler alert, it looks terrible. You aren’t selling me on this idea at all, Pepe. I think I could make a better comic if I instead took that year and just learned to draw. It also says the lettering is supposed to duplicate traditional lettering. It too, looks like hell. 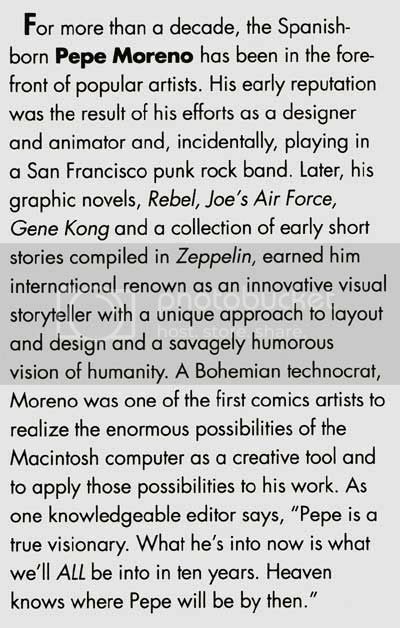 Finally, a small section about our esteemed author. The part that leaps out at me most is, of course, the very end. What Pepe is into now is what we’ll ALL be into in ten years. I fondly remember the year 2000. And it’s shelves, packed with crappy computer generated comics. Look it, goddammit, I’m getting all wistful now! 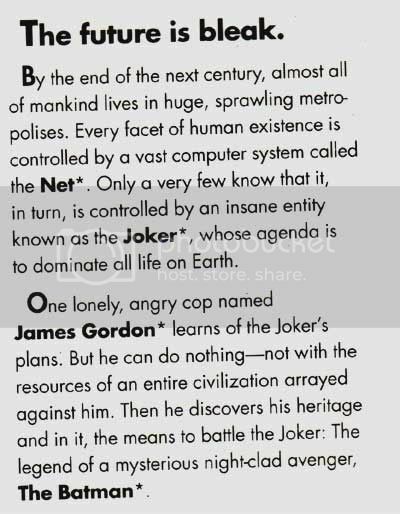 This entry was posted in Reviews and tagged Batman, Comics. Bookmark the permalink.